Each tub comes with an electric motor, pedals, steering wheel, forward and reverse gears and the all-important showerhead! 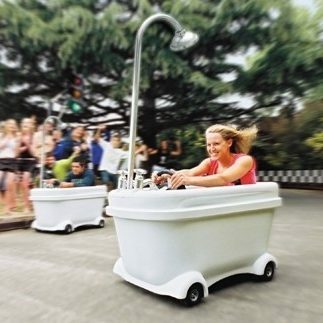 Stop your event from disappearing down the plughole with our crazy motorised baths tubs. Sit inside the bathtub, grip the wheel and race around the bespoke track we create just for you. 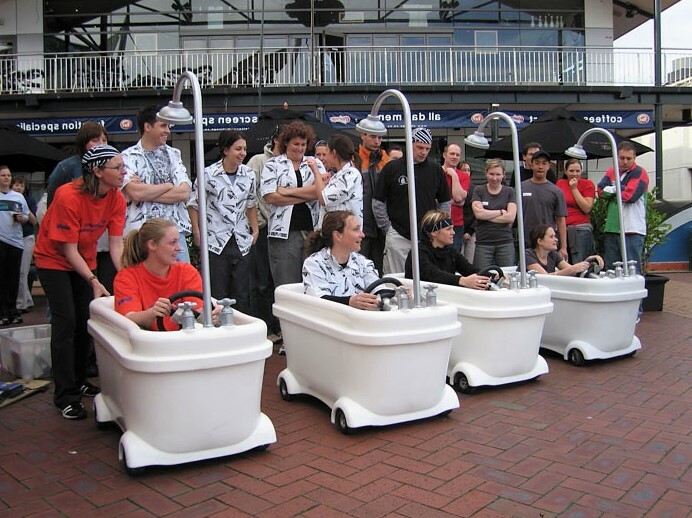 Racing Bath Tubs can be operated inside and outside and instantly attract attention, a great and unique way to entertain at your event. This is great for private events, team building and exhibitions. What comes with your Racing Bathtubs Package? Available anywhere in the UK and beyond, this highly visual and entertaining activity is guaranteed to attract and entertain your guests and visitors.